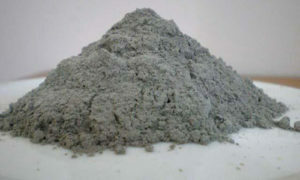 To improve the quality of construction material, it is good to use the fly ash. The production of fly ash in Pakistan is increasing day by day. If you are associated with the construction manufacturing material then addition of the fly ash is the right option. You can buy it in various kinds of by-products in Pakistan. It is manufactured by combustion of coal in fired power plant. The chemical formation of fly ash is based on the kind of the coal burnt in degree of pulverization of coal, temperature of furnace and boiler furnace. Through this process, we get a useful and fine fly ash for different type of material manufacturing. A pozzolan ensures the setting of plaster and concrete. It provides with more security from chemical attack and wet conditions. Fly ash is fine glass-like powder that is produced from gases developed by coal during electronic power generations at power plant. If you are using it for manufacturing your material then always use coal fly ash in Pakistan. It is a powdery and burnt derivative of inorganic mineral that is produced during the pulverized coal combustion in thermal power plants. The coal burnt ash is based on iron, calcium, alumina and silica. 5 Star Mining fly ash available in Pakistan is of high-quality. It is light weight and it decreases the cost in steel structure because it allows the good compressive strength. Keep your house, building or other industrial area warm in winter and cool in summer because it is head resistant and fire. It contains water resistance, dampness and seepage keep your buildings and homes walls presentable. It saves repair cost of the builder. It does not have acid or alkali attack.